Michael’s doctoral work was focussed on the conceptual and mathematical foundations of evolutionary theory. His aim was to provide a unifying synthesis of a number of existing theoretical frameworks in order to establish a common mathematical language with which longstanding and sometimes heated debates in evolutionary theory can be resolved. His work was mostly grounded in dynamical systems theory, with analyses of large systems of ODEs and the derivation of a hyperbolic PDEs not dissimilar in form to those found in fluid dynamics applications. He also borrowed ideas from linear algebra and information theory. His thesis brought together work from ecology, population genetics, quantitative genetics, kin selection theory, multi-level selection theory and evolutionary game theory. He is currently a postdoc in the Department of Genetics, Evolution and Environment at UCL working on major evolutionary transitions. 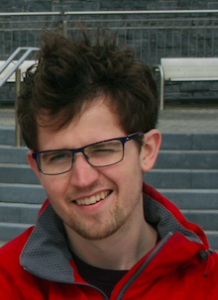 Robert’s doctoral work centred on extending techniques from statistical physics (probability master equation, moment-closure approximations) to model many-body processes on growing domains. The motivation for doing so was to develop methods to more accurately describe the behaviour of migratory cell populations found during embryonic development. 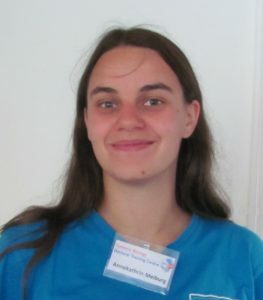 Robert also enjoyed a fruitful collaboration with developmental biologists from the University of Edinburgh, modelling the migration of melanoblasts in murine embryonic development, and parameterising cell migratory processes using approximate Bayesian computation. 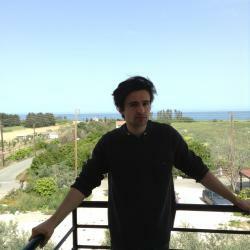 He is currently a postdoc in a theory group at the Harvard medical school working on growing network problems. Paul’s research focused on computationally efficient techniques for simulating stochastic lattice-based models of diffusion in biology. Diffusion is fundamental to many biological processes, but simulating systems of many particles can quickly become infeasible due to the large number of diffusion events occurring in a finely-detailed lattice-based model. By introducing carefully chosen approximations, namely allowing particles to make fewer jumps but of variable length, or approximating a section of small lattice boxes with fewer, larger boxes, he showed that simulation results similar to those of the original system could be obtained in a range of scenarios using only a small fraction of the computational time. The discrete nature of the models lent themselves to mathematical proofs to complement the computational simulations. Anne’s doctoral work provided a bridge between experimental and theoretical work. While observing the behaviour of Caenorhabditis elegans and its interaction with its food Pseudomonas fluorescens NZI7 in vitro, she also modeled the process in silico. Her work showed that the bacteriovore causes an increase in the bacterial population rather than acting as a biocontrol agent. Meanwhile she also revealed new behavioral patterns in the nematode. She is currently writing up her findings for publication. Robin Thompson was my first research student. He conducted a summer project and MMath dissertation with Ruth Baker and me at the University of Oxford. We compared a stochastic position-jump model that admits cell-cell adhesion with an analogous deterministic model. We found that individual stochastic simulations can admit cell clustering even when the solution of the deterministic system does not. We included multiple cell species and investigated whether or not the stochastic model can represent behaviour predicted by the differential adhesion hypothesis. We also developed a novel approach for simulating stochastic models on growing domains. The paper we wrote on this research is available here. Robin went on to undertake a PhD at the University of Cambridge in mathematical epidemiology. His research interests now lie in developing and using mathematical models for prediction and control of infectious disease outbreaks. He is now back in Oxford as a Junior Research Fellow at Christ Church, and we are currently collaborating on a project together along with a masters student in Oxford. For more information about Robin and his teaching and research, see his personal website. Jake worked with me, Radek Erban, and Benjamin Franz in the summer of 2013 for his MSc project on velocity-jump processes encoded within a group of interacting robots. This work lead to two publications on the development of transport equations to describe the experimental data. Over the following 2 years, Jake then used this work as a starting point for more general velocity jump processes and applied it to animal migration and Levy walks. 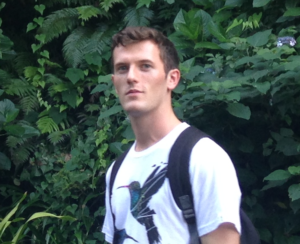 Jake also works on problems in cancer (osteocyte network formation and histology analysis) and the parameterisation of stochastic dynamical systems. 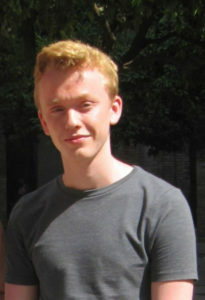 George Chappelle undertook his MMath project and a summer research project with me at the University of Bath. He investigated incorporating a cell-cell pulling process into models of cell migration. He formulated agent-based stochastic models which he used to derive corresponding p­artial differential equation models He then investigated the difference between the two models. He further developed and analysed more biologically realistic “off lattice models” which incorporate a cell-cell pulling mechanism. George is currently unertaking a PhD at the university of Reading in the “Maths of Planet Earth” programme. 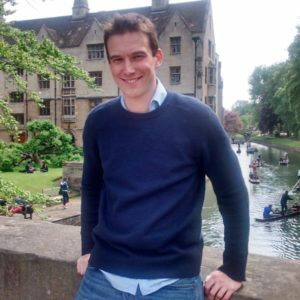 Jack Twomey was an MSc student in Modern Applications of Mathematics at the University of Bath, having also graduated from Bath with a BSc in Mathematical Sciences. 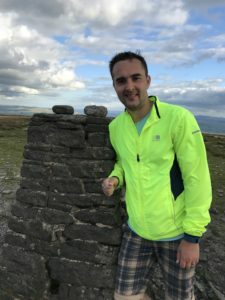 Despite having an undergraduate background of mostly probability and pure mathematics, in undertaking a more applied MSc he has developed a strong interest in more applied areas of mathematics, particularly in Mathematical Biology. For his MSc project he worked with me on stochastic modelling of bimolecular reactions, particularly with implementation of stochastic simulation algorithms. He investigating the ‘reaction-radius/reaction-rate’ model for bimolecular reactions, and in applied this to different dimensions incorporating geminate recombination of molecules within the system. He also worked on a non-local voter model of opinion formation. 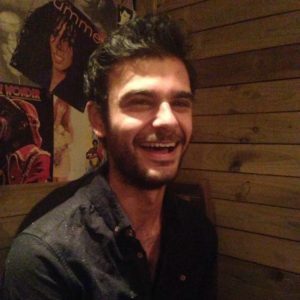 Kamran Pentland under took a summer internship project with me funded by the REP-MB (Research Experience placements in Mathematical Biology) which is funded in turn by the BBSRC at the University of Bath. The project focused on a hybrid blending model for representing reaction-diffusion equations. This involved developing a PDE/position-jump hybrid model where we aimed to determine a region in which reactions and diffusion are implemented by both continuum and discrete models in a ‘blended’ manner.